Live, Laugh, Love Second: Teacher Appreciation Week Gift Ideas! Teacher Appreciation Week Gift Ideas! I'll admit it...I love Teacher Appreciation Week! 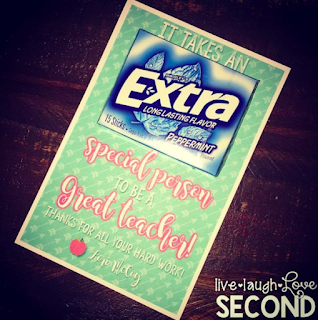 Not only do I appreciate being spoiled my school and students, I also love blessing those teachers I work with and those who work with my own kids. I also know that-as a teacher and a mom-I don't have a lot of time (or money for that matter!) 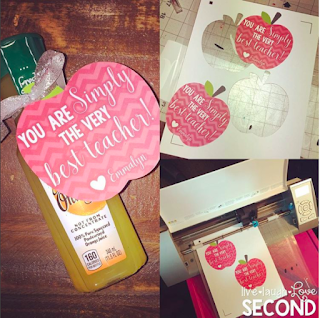 to make fancy gifts, so I came up with some fun, easy, and inexpensive gifts for Teacher Appreciation Week. 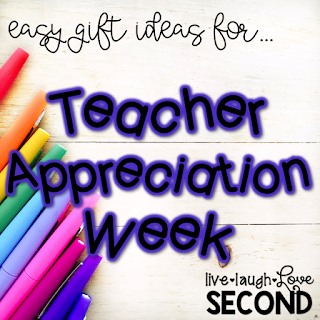 Here are some easy ideas...along with some free editable downloads so you can use them for your favorite teacher. Sweet Tea: I just added this one today (04.29.17), and it might be one of my favorites! I picked up some Gold Peak Sweet Tea and made these fun tags. You can download a free editable copy HERE. Hershey Kisses: Here is another new idea! I actually made the tag specifically for my niece's teacher because she loves chocolate, but it was so cute that I used it for Em's teachers, too! I used some small jars I had bought last year in the Target Dollar Spot for $1, added in some Hershey Kisses, and made this fun tag to go along with it. I just love it! You can download an free editable copy of the tag HERE. Donut Anything: I found these adorable magnet bookmarks at Barnes & Noble, and I knew they would make great gifts for my teammates. I made this fun tag to go along with them. You can download a free editable copy HERE. I also made a "teacher" version, if you want to use it for your favorite teacher, too! You can download the free editable copy for that one HERE. 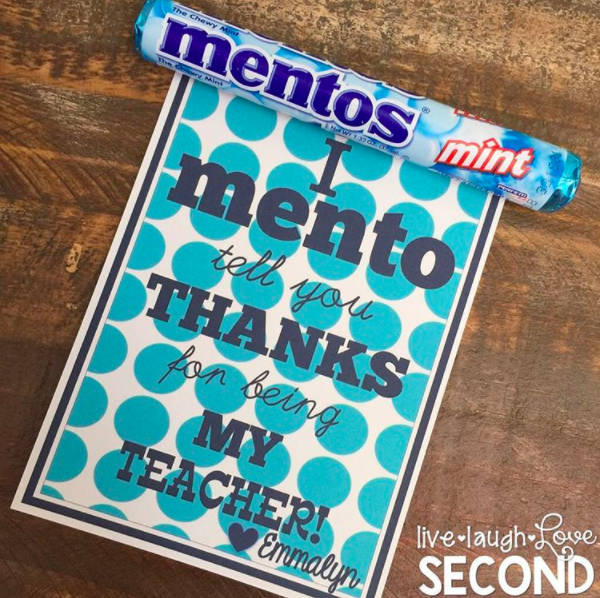 Mentos: This idea was courtesy of The Detailed Oriented Diva. I found the image on her blog, then I added it to PowerPoint so I could add my daughter's name. Check it out on her site HERE. Too easy! 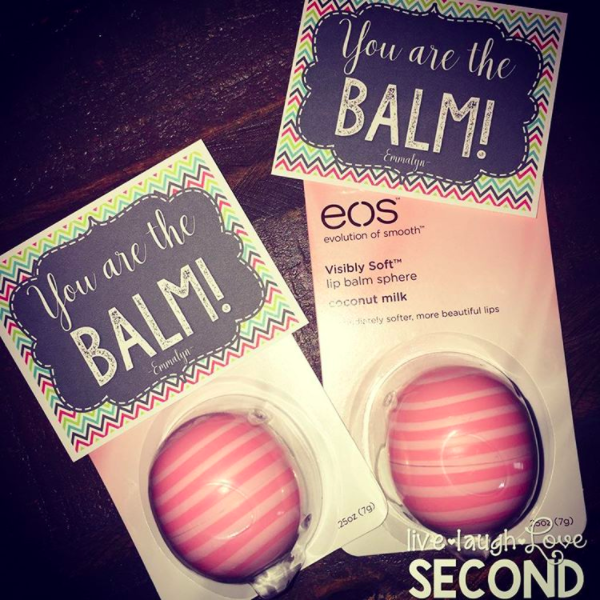 Lip Balm: This was another fun one! I picked up the lip balm at Walmart for about $3 each, then I made the tag on PowerPoint. You can download an editable copy HERE. Extra Gum: Not only did I give these to Em's teachers, they were so inexpensive that I also gave them to our specials' teachers and other specialists that service my kiddos. Download the editable template HERE. Simply Orange Juice: This was a fun morning treat! I made the tags in PowerPoint, and then I imported the images to my Silhouette Cameo software to cut out. It was so easy! Download and editable PPT template HERE. Notebook: I found these cute notebooks at Walmart for $3 each. 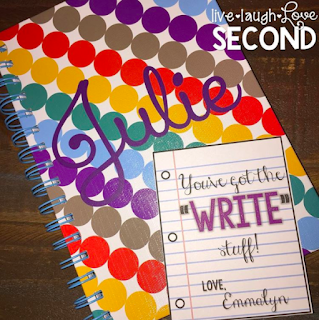 I personalized them with vinyl using my Silhouette Cameo and then paired them with a fun pen and this cute note. I think this might have been my favorite gift! You can download the tag HERE. 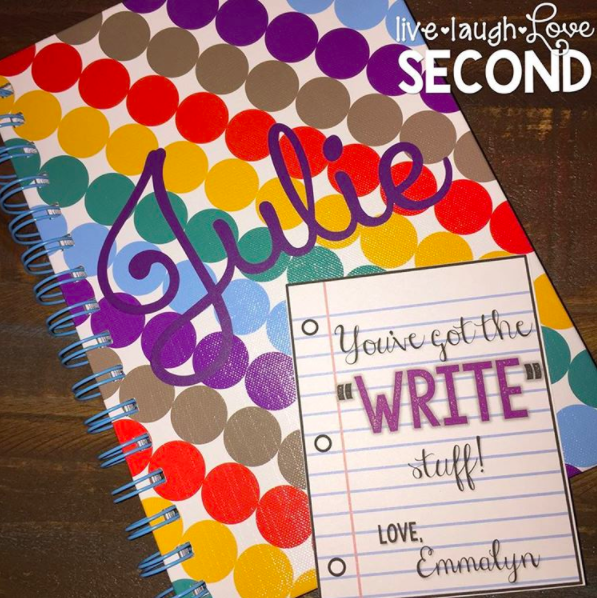 Hopefully one of these simple gifts sparks an idea for you. Have fun spoiling your favorite teachers! These are fantastic, thank you! Hey there is there a reason why the Tea tag won't print I would love to use this one, thank you so much. China Bulk Wholesale Supplier in Dubai I value the blog.Thanks Again. Want more. Courses incorporate Hair Care Techniques, Esthetics,Jennifer Aniston Face Cream Chemistry, Bacteriology, Color hypothesis, Nail Care and Skin Care.